I’ve read a lot of review in the internet that a visit to Kyoto is not complete without a walk through the charming Sannenzaka & Ninenzaka. And it turn up to be true, I really love Ninenzaka and Sannenzaka. The path winding around the Higashi-yama area of Kyoto is one of my favorite areas of Japan, one of the most beautiful in Kyoto. 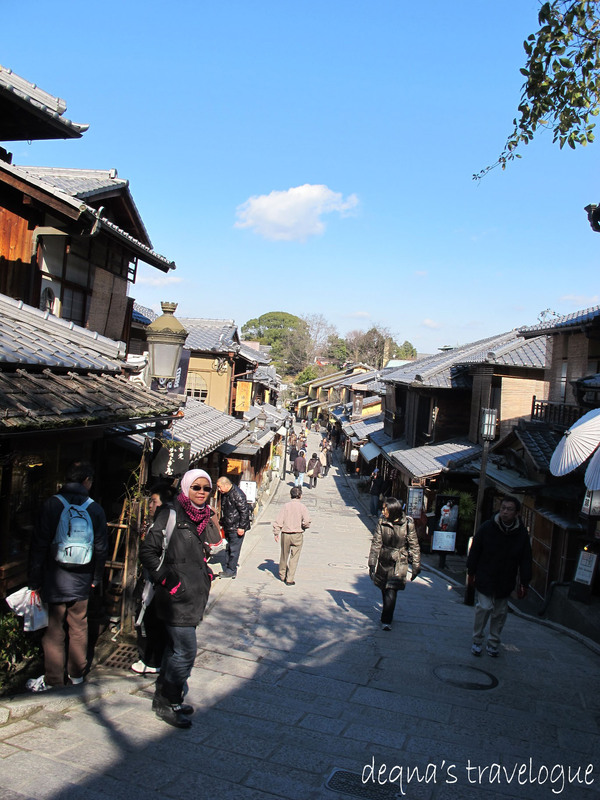 A stroll down the narrow road leading to and from the Kiyomizudera temple will lead to Sannenzaka and Ninenzaka. 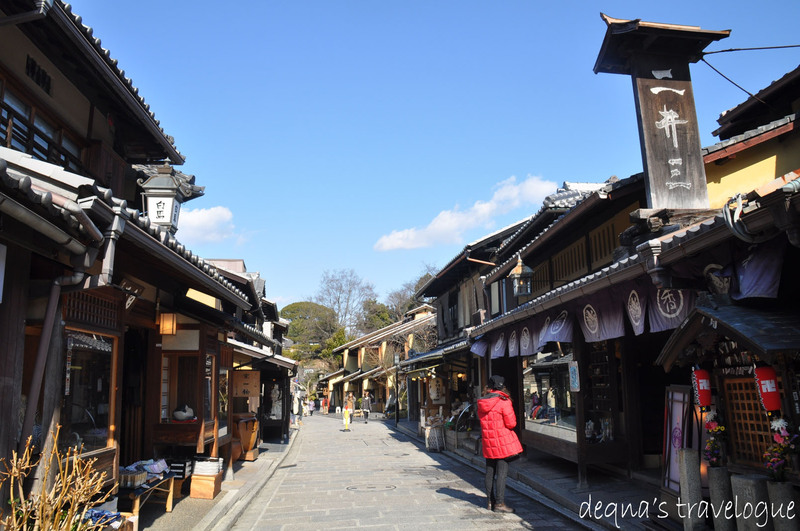 These famous streets in Kyoto, lined with old wooden houses, traditional shops and restaurants in Japanese style buildings. Aside from the telephone wires over head, this part of Kyoto is among the very few areas that present a unified wooden cityscape. The shops offer many traditional items, from incense to fans to woven goods. These two charming streets have been preserved to keep the stone walkway, and are predominantly for foot traffic. 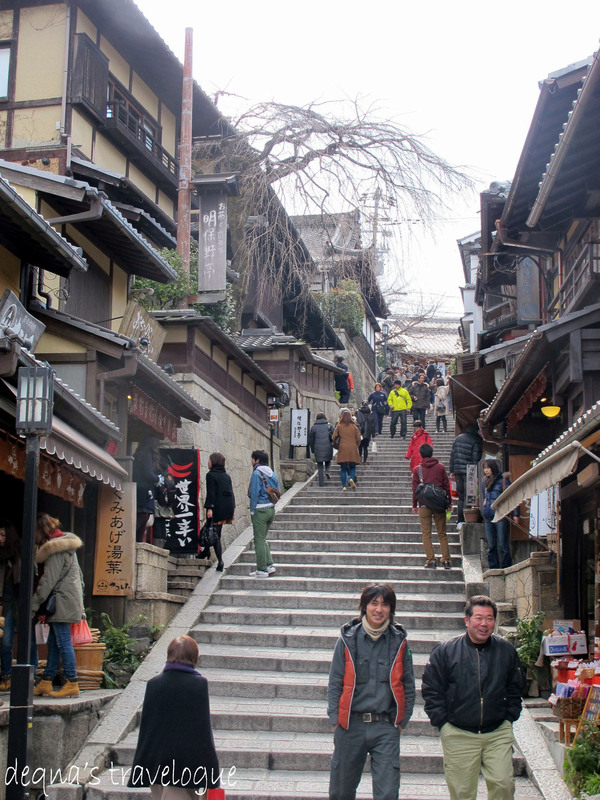 Sannen-zaka and Ninen-zaka are steep, so some people may not want to (or be able to) walk up them, but if you can, it is a great way to experience traditional Kyoto as you head to the historic Kiyomizu Temple or just walk along and browse through the shops. if you like charming old streets that sell bric a brac , this place is definitely for you. Souvenirs galore plus many food shops that sells local pastries and delicacies with reasonable prices, cheaper than in the Kyoto department stores. As with most sights in Kyoto, the best time to stroll through the area is in the early morning, as the throngs of locals and tourists can be intense in the evening, but doesn’t reduce its charm. 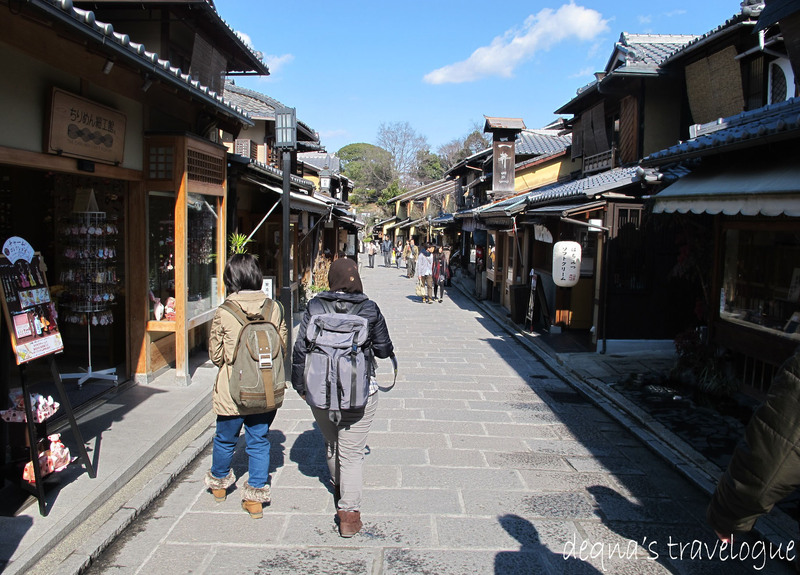 These old style streets form part of the sourthern Higashiyama walking tour. Among the many attractions that can be seen in a day, on foot, in this area are: Kiyomizu Dera, Kodaiji Temple, Nene no Michi, Yasaka Shrine, and Gion. By Bus, from Kyoto station, about 15 minutes to Gojozaka stop, about 17 minutes to Kiyomizumichi stop, by bus with route No. 206, 208. Then about 10 minutes from each bus stop. 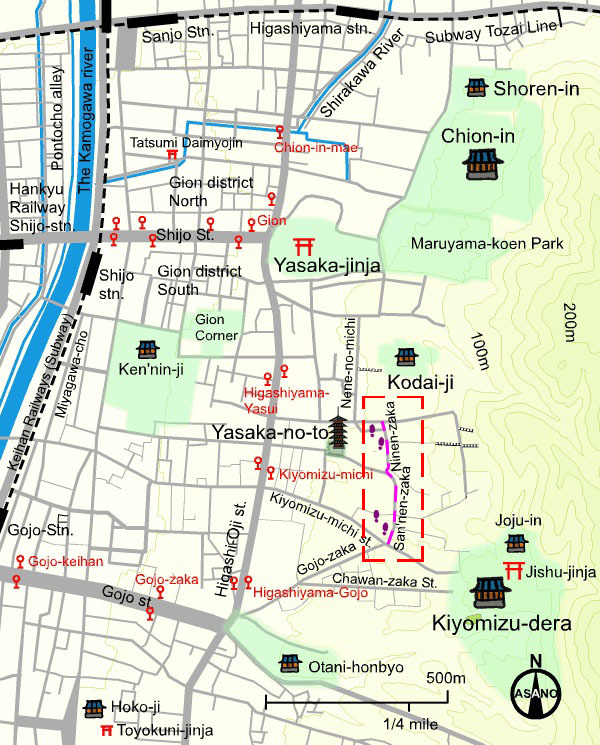 By train, exit at Higashiyama Station or Gojo Station and slowly walk towards the Kiyomizudera Temple. The streets are best to explore by foot. The total length was about 400m. A New Chapter Begin ..